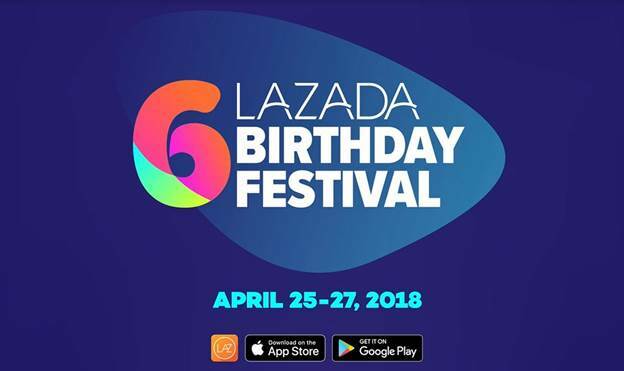 This Is It: Lazada Officially Turns 6! Congratulations are in order as the country's favorite online shopping hub- Lazada Philippines, celebrates its 6th birthday. And nothing beats a world class greeting from an award-winning, Cannes Festival Best Actress Ms. Jaclyn Jose. "O, mag-shopping na daw kayo sa Lazada!" Are you ready to celebrate with Lazada? Don't say I didn't warn you because it's not just a day of festivities but 3 whole day of shopping treats from April 25-27, 2018. So what are you waiting for? Be a keyboard warrior and land yourself the best deals. Did I mention that you can also use the QR feature of the Lazada App to make shopping more fun and exciting with lots and lots of promos especially from top brands and sellers. Have Fun at BGC's "Summer on the Street"